Are you looking to sell one of your valuable assets like vehicle? There can be a number of reasons why you may think of doing it. Maybe your wheels are no longer of any value and completely mechanically impaired. It won’t make any sense to keep it in your driveway or garage. Vehicles that are no longer useful, broken, rusted and simply sit on your property for a longer time can waste away a huge space. By selling it off you can save a lot of space for other useful things. 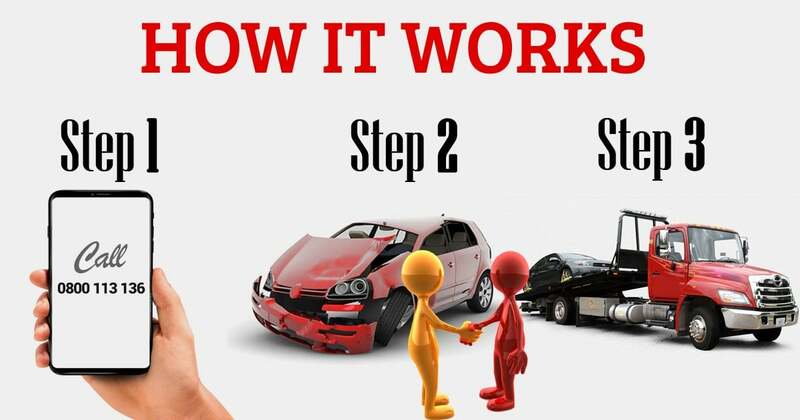 So, here are five great reasons to scrap your car with auto wreckers. How about getting a top cash for junk car? When you contact your local junk car wreckers you can anticipate to get a handsome cash payment for our scrap and old wheels. They consider various important aspects related to the automobile in question. It includes the condition it is in, its make, model and year of production. These details help them to make a precise and fair cash assessment. Even if your wheels are junk, you can look forward to get paid a nice amount of cash. However, it can be a few hundred dollars less in contrast to the price of a working vehicle. Your old and damaged vehicle may be blocking a precious space in your driveway, lawn or driveway. And as automobiles are easily noticeable due to their huge size your old wheels can be a huge eyesore. So, it is better to scrap it away and you can make room for a more useful purpose. For example, you can use the lawn for frolicking on a sunny summer day. Or, you can clean the garage to make space for your new set of wheels. Regardless of whether or not you have a nice and clean space. Having scrap automobile will completely ruin the aesthetics of your space. It will particularly appear an eyesore to you and your neighbours. The best thing you can do is just kick that broken down and rusty bucket out of your driveway or garage. It will not only please your family and friends but your neighbours as well. When you decide to sell your old clunker you can choose to use it in the best way. By getting in touch with your local auto wrecker you can get your old clunker broken for parts. They will recondition and test them to add into their second hand parts inventory. This indeed a great option for people who are looking for purchased quality auto spare parts for a budget. Since second hand components are much more cost effective than brand new ones. Most of them are often performed as well as new ones. Read more about the benefits of purchasing recycled car parts. Most of the junk and broken down car owners are not aware that nearly 95% of a vehicle can be re-used. It is composed of steel and other useful items that can be reconditioned for use in second hand wheels. This is how you can use get rid of your old clunker and recycle it to help the environment. Since recycling vehicles for parts is an eco-friendly process which restricts the need for mining new steel.